Children Payments to be added on the remainder Balance and paid on arrival. Breakfast at the hotel then around 3:30 am Pickup from your hotel and transfer to Cairo airport to take your flight to luxor. Arrival Luxor, arrival, meets & assists by our local certified Tour guide and transfer to Start your Full Day Tour to The West Bank visiting Valley of Kings-Deir El Bahari Temple-Colossi of Memnon and the Temple of Queen Hatshepsut.Excursion to the Necropolis of Thebes, on the Eastern bank. Crossing the Nile, drive to the Valley of Kings; visit the tombs of various Dynasties, The Temple of Deir El Bahari. On the return journey stop atthe Colossi of Memnon which are two gigantic sitting statues representing Amenophis III facing the Nile. Visit the Temple of Queen Hatshepsut. Then visiting East Bank visiting Karnak Proceed by carriage or bus to Karnak, which is a serious of temples, built indifferent reigns. Starting by the Avenue of Sphinxes visit the Unfinished Propylon, the Hypo style Hall with it's 134 gigantic columns, the Obelisks of Queen Hatshepsut and Tutomosis III, the temple of Amon adorned with lotus and papyrus designs, the Granite Scarbeus of Amenophis III and the Sacred Lake.around 15:00 pm Transfer to Your hotel in Luxor check in and have some Rest before your evening visit to Luxor Temple . At 4:30 am Pickup from the Hotel for Hot Balloon Ride Should you want to make your stay in Luxor an unforgettable. Drifting peacefully over the Valley of King, Valley of the Queens and the Mountain on the Nobles. 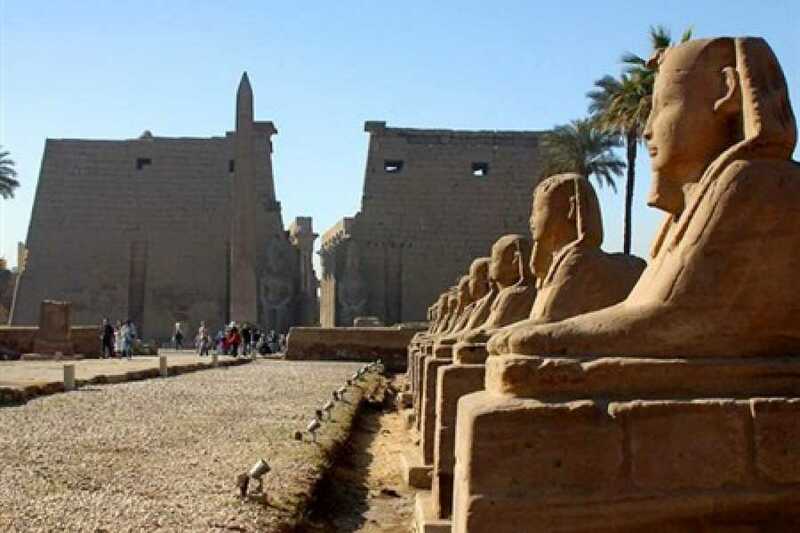 Later At 7:00 am Emo Tour's guide will pick you up from your hotel in Luxor and transfer by Private A/C Vehicle to Edfu around 50 minutes drive south of Luxor . arrival in Edfu where you can visit the majestic Temple of Edfu that dedicated to Horus which is considered by most to be the best preserved cult temple in Egypt. According to the Egyptian myths, it was the place where the falcon-headed god Horus revenged the murder of his father Osiris by killing Seth. Lunch box included. Then Continue Your day tour to Kom Ombo around 45 minutes drive from Eduf Arrival Kom Ombo transfer to see the Temple of Kom Ombo standing on high grounds overlooking The Nile. It differs from other temples because of its double entrance, each one is dedicated to divinity: "Haroeris" with his falcon head and " Sobek " with his crocodile head. The Temple of Kom Ombo was built on the honor of two deities the crocodile-headed Sobek, god of fertility and creator of the world, and Haroeris or the ancient falcon-headed Horus. Also, Kom Ombo's importance lies in its huge sugar-cane. Breakfast at the Hotel At 3:30 am Pickup From Your Hotel then move towards Aswan around 3hrs drive south of Aswan to Visit Abu Simple Temple the colossal Temple of Abu Simbel built by Ramses II (XIXth. 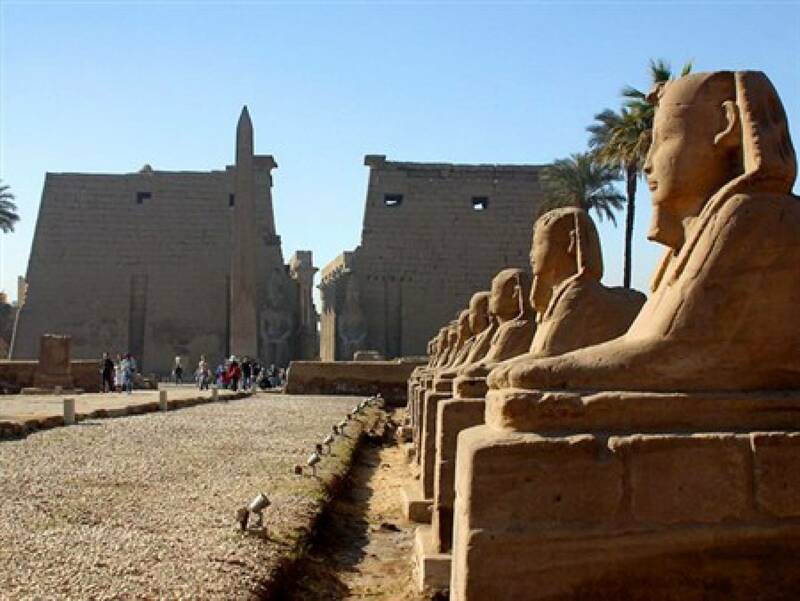 Dynasty) and lately saved from inundation of the Nile waters in among the glories of ancient Egyptian monuments. The temples were built out of a sandstone rock cliff, and representation of the deities to which each was dedicated is carved on its huge façade. Nearby, also saved, lies the small Temple of the King's wife Nefertari, dedicated to the goddess Hathor. Then Back to Aswan To Continue your Day Tour Visiting High Dam & Temple of Philae Island Sail by felucca (Egyptian sailboat) to the Island of Agilkia. Visit the temple that was removed from their original island of Philae which lies submerged most of the year by the waters of Lake Nasser. The main Temple of Isis and its monuments were built between the 26th-dynasty and the Roman period. Return to the mainland and drive to Aswan for a view of the high Dam which was completed in 1964. From here you can gaze across Lake Nasser. Breakfast at the hotel then around 6:00 am Pickup from the hotel and transfer to Aswan airport to take your flight back to Cairo Arrival to cairo At 8:30 am meet and assist by our certified Tour guide then Start your full day tour visiting Giza Pyramids where you Visit the Great Pyramids - Cheops, Chephren & Mykerinos then Visit the Valley Temple where the Priests Mummified the dead body of King Chephre Also there you will have a close-up look at The Sphinx - The legendary guardian that stands by the huge funeral complex with its lion body and the head of king Chephren. 2 Night hotel accommodation in Aswan on bed and breakfast basis. 1/2 F day tour in Cairo visiting Pyramids and Sphinx. 1 Full day tour visiting Abu Simbel Temple by A/C Car (Private). 1 Full day tour in Luxor visiting West & East Bank. All transfers in Alexandria, Cairo, Aswan and Luxor. Flight ticket: Cairo/ Luxor & Aswan / CAIRO.